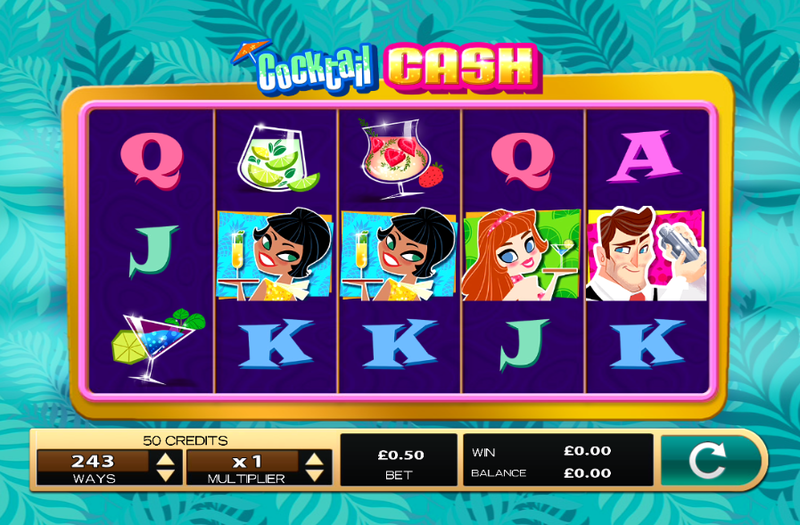 Cocktail Cash is a 5 reel, 243 ways to win slot by High 5 Games. The design has a very retro 70s feel with all the glitz and glamour. With Cocktail Cash, you will get to experience all of the fun of being in a fancy bar without having to go there yourself. On the menu, you will find an array of delightful cocktails. Whether you prefer a margarita, martini, or cosmopolitan, Cocktail Cash will serve it. Behind the reels, you will see a turquoise leaf print pattern which kind of looks like 70s wallpaper. The symbols include many fruity cocktails containing delicious limes, mint, and strawberries, as well as beautiful bartenders wearing glittery dresses, a mixologist, and cocktail shaker. The Wild Symbol - The wild symbol in Cocktail Cash is the cocktail shaker. This only appears on reels 2, 3 and 4 and awards a 2x, 3x or 4x multiplier respectively. The Scatter Symbol - The scatter symbol is the luxurious invite to the cocktail party. Landing 3 or more invites anywhere on the reels will activate the free spins feature. Free Spins Feature - There are 5 free spins options you can choose from; 3 free spins with 9x, 15x and 24x multipliers, 5 free spins with 6x, 9x and 15x multipliers, 7 free spins with 5x, 6x and 9x multipliers, 9 free spins with 4x, 5x and 6x multipliers, and 12 free spins with 3x, 4x and 5x multipliers. The free spins feature cannot be retriggered. read on to learn more. 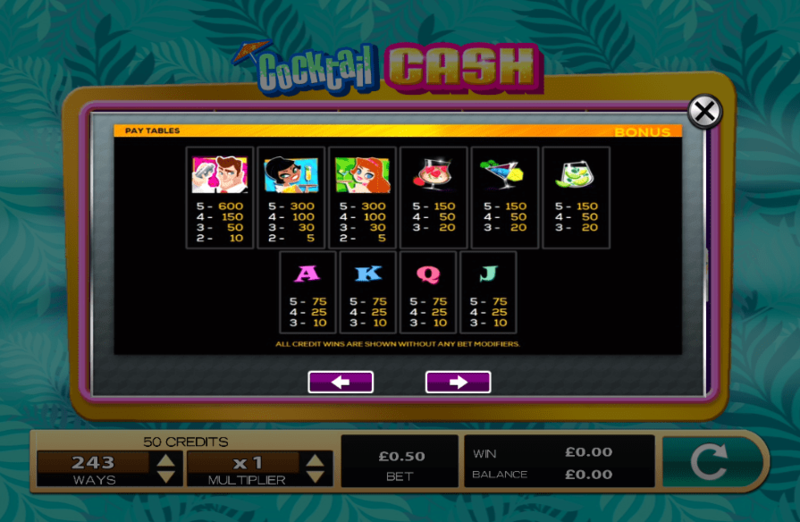 High 5 Games is an online casino operator with a difference. For the past 20+ years, High 5 Games has been creating incredible games with a unique artistic style and charming gameplay. When creating new games and coming up with ideas, they turn to the people who love their games the most. By listening to what game players want, as well as having the best team of software engineers, mathematicians, artists, and programmers, High 5 Games creates something fantastic every time. If you liked Cocktail Cash, why not take a look at these High 5 Games titles? Cocktail Cash is full of glamour and retro vibes. Everything from the graphics to the audio fits the 70s cocktail bar theme perfectly. There aren't too many features but this doesn't stop it from being a fun and girly game. The free spins feature is quite possibly the best feature as there are so many game spins and multipliers up for grabs.